The volunteers who usually make it their mission to keep the city's main water thoroughfare clean celebrated Chicago River Day Saturday. CHICAGO (WLS) -- The volunteers who usually make it their mission to keep the city's main water thoroughfare clean celebrated Chicago River Day Saturday. 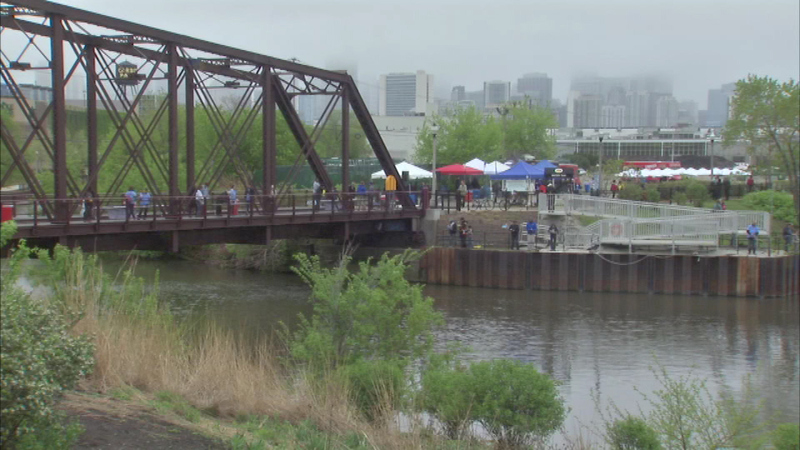 The event was held on the old railroad bridge that connects the north end of Goose Island with the North Avenue shopping district. People enjoyed fishing, music and food in honor of the 100-plus miles of riverfront the city has to offer.